Hackathon participants hard at work on their project. Photo courtesy of SD Hacks. Rain and lightning didn’t stop nearly 800 students passionate about coding from participating in the fourth annual SD Hacks hackathon, held at UC San Diego and hosted by the Triton Engineering Student Council (TESC). The 36-hour event, which ran from October 12 to 14, is an intercollegiate hackathon where students from across the country come together to create innovative solutions to challenges or projects of their choice in a mere 36 hours. Sleep not included. opening ceremonies. Photo courtesy of SD Hacks. 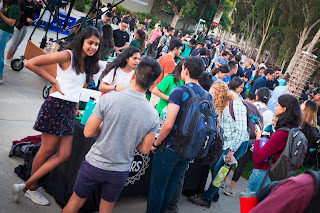 TESC organized the event, which was sponsored by the Space and Naval Warfare Systems Center Pacific (SSC Pacific) and featured collaborations with student clubs like the Computer Science and Engineering Society (CSES) and other partnerships with companies and organizations like the Power of Neurogaming Center in the UC San Diego School of Medicine and Northrop Grumman Corporation. This year, a total of 109 teams submitted projects to SD Hacks, ranging from a dog meme classifier to a search and rescue robot that could help emergency crews in dangerous situations. As with previous years, hackers could also participate in challenges set by SD Hacks partners, where projects can take advantage of APIs offered to win specific prizes. For example, DocuSign challenged students to create a project that made the best use of their e-signature API, with the winner taking home $2,000 and an interview for a job or internship. Other services available included Google Cloud Platform and Domain.com. 3, 2, 1... HACK! Photo courtesy of SD Hacks. David Ding, a third year electrical engineering student at UC San Diego and director of SD Hacks, said that the hackathon took more than six months to plan. The most difficult part? Getting all the sponsors; their last one was confirmed in early October. His favorite part though, was the opening ceremonies because he got to see everything come together. To him, that was extremely gratifying. With the help of 135 dedicated student volunteers under his leadership, SD Hacks ran smoothly. Of course, coding 36 hours straight will do a number on the mind. Thankfully, UC San Diego is home to a beach just 15 minutes away, where students can go to relax if they need a break. Participants from other colleges liked that about UC San Diego. 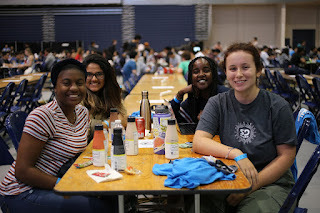 Kishan Sarvaiya and Kizar Cassiere from Long Beach State University both said that compared to other schools that they have gone to for hackathons, UC San Diego offered better things to do in terms of experience. After a long 36 hours, and almost two hours of judging, one group came out on top as the Grand Prize, Best Overall Hack winner for SD Hacks 2018: Polyglot. Polyglot’s team consisted of members Naba Rizvi, Yizhen Shi, Carla Marzari, and Jacob Perkins, all from the University of Toledo in Ohio. They developed a way for non-English speaking youth to learn how to code in their native language, since most programming languages use tags and keywords in English. Polyglot helps them both learn the English words, as well as learn how to code. To check out the wide scope of project submissions, click on the link to the SD Hacks DevPost. More than 400 students attended TESC's Engineers on the Green. 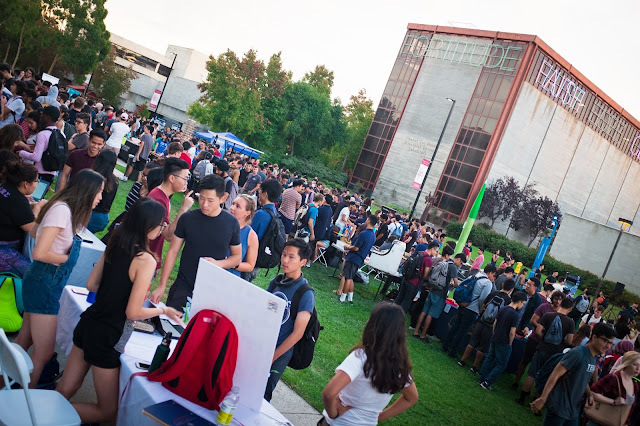 On a cloudy afternoon on the first Monday of Fall Quarter 2018, members from all of the engineering student organizations filled Warren Mall with their project demos, sign-in sheets and informational posters waiting to recruit incoming and returning students at this year’s Engineers on the Green. 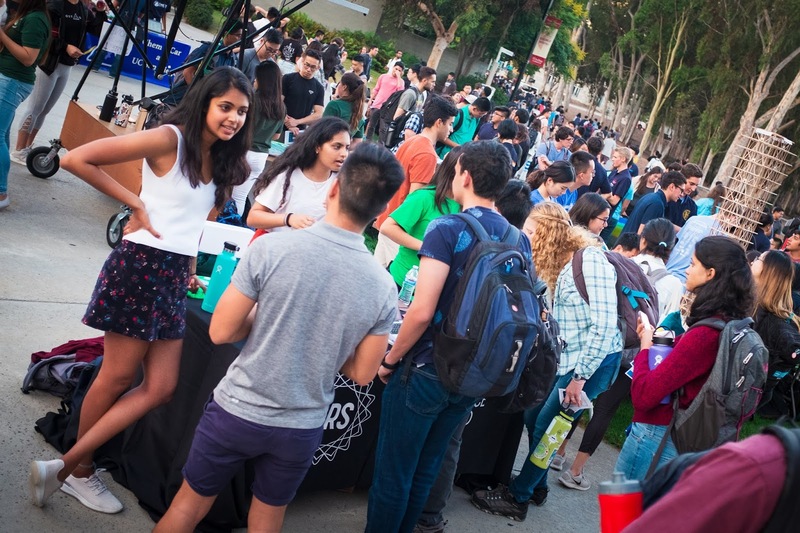 The annual event is organized by the Triton Engineering Student Council (TESC), which hosts Engineers on the Green to help engineering organizations get greater visibility and recruit interested students for their club activities. The event drew nearly 800 students and continues to grow each year. The event played host to about 50 different engineering clubs from a wide breadth of disciplines. Are you interested in pitching your engineering project ideas and getting funding for them? Divergent Engineering has helped projects like a stair climbing robot get sponsored by Qualcomm. Triton Racing, Tritons for Unmanned Aerial Systems (TUAS), and Design/Build/Fly (DBF) have exciting opportunities to expand mechanical engineering, electrical engineering and computer science skills, with members working on race cars, autonomous drones and RC planes, respectively, that compete in annual competitions. If you want to apply your engineering skills to communities outside of campus, learn more about Engineers Without Borders (EWB): some of the projects EWB works on include a water filtration system in communities in Kenya and in Tijuana. And those are just a few of the project-based groups. 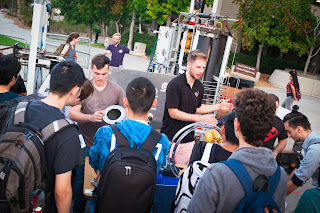 Many of the engineering organizations also focus on professional development, outreach, and event planning meant to promote interest in engineering. 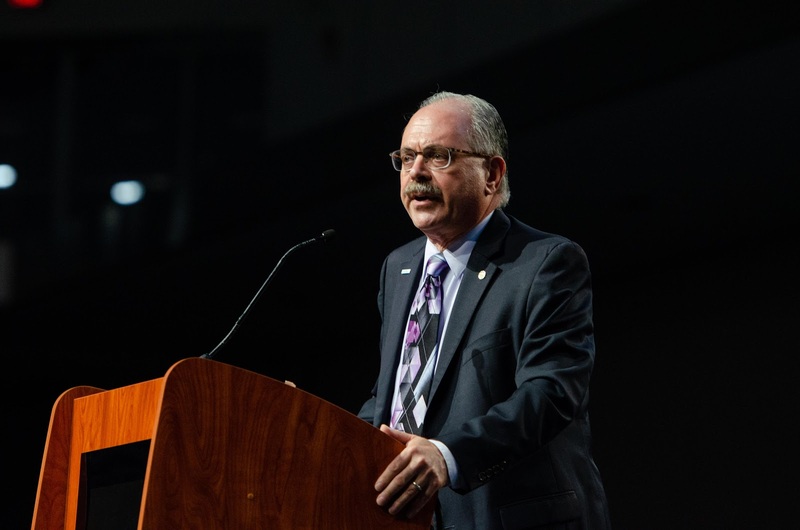 For engineers that want to get help in soft-skill building and industry relations, they can join the International Society for Pharmaceutical Engineers (ISPE) for their leadership rotation program and their industry mentorship program. Want to bring STEM education to young students? Look no further than Tritons for Sally Ride Science. They host workshops for kids like “Science of Harry Potter Magic” and Ignite Talks to inspire even undergraduates to look for new opportunities in their fields. Lastly, the Nanoengineering and Technology Society (NETS) works on events like the Nano Day Conference to develop interest in nanoengineering and hosts projects for skill development. The wide range of opportunities is staggering, whether it be in project-based work or professional development. For more engineering organizations not highlighted, take a look at TESC’s list of organizations here.